Grosgrain: 30 Days of DIY Workout Wear!! 30 Days of DIY Workout Wear!! I've been compiling a list of tutorials on how to DIY your own cute workout clothes. For the next 30 days I'll be making a new DIY piece of workout wear every day. Read my inspiration below. For a while now I've been putting a lot of time into something I never thought I would be doing. ZUMBA! I once took an aerobics class in high school and swore I would never again endure it. By the end I was dying and I found it to be as exciting as watching paint dry. A few years ago I had a couple friends ask me to try Zumba with them and I declined saying yoga or pilates might be more my pace (neither of which I ever did BTW). Then two things happened. Last year I decided I wanted to loose 10 lbs and a friend of mine, Beth from Stories of A to Z, asked me to join her. I had gone twice on my own in October and was certain I wouldn't be going back but with Beth's encouragement I decided to give it another go. And EVER SINCE she and I have been going to an average of 2 classes per week. We do plan for three but sometimes things come up. I truly believe that doing this with someone has been the key to my success in sticking with it. I have to physically get in touch with Beth before 10am if I can't go and know that my presence will be missed (at least I hope so) because I feel that way when she can't make it. It makes it a LOT harder to slack off. Here's a really poor video of us I took with an ear cam. Be warned. It's awful quality and we barely do anything but shuffle around which doesn't really represent a typical Zumba class. Still, you get the idea. For the first two months I couldn't stand it. I would find myself counting down the number of songs until we reached one hour. Time seemed to stand still. I'd be lying if I said I don't feel that way a little now but sometime around December something changed. I don't know if the songs began to grow on me or if something chemically happened in my brain but I started to enjoy it and even at times look forward to it. I found myself listening to Zumba songs on Spotify on my way to class and it wasn't because I was forcing myself to. Then in January I took a big plunge and bought some workout wear. I had bought Beth an official "Zumba" tank for Christmas and seeing her wear it made me long for something nice myself. Prior to that I had been wearing ratty old tee shirts and baggy loose gym shorts. So I went to Old Navy and spent $100 on a lot of mix and match wear on clearance. I also went and bought a pair of new cross trainers. That REALLY motivated me. Seriously, if you have to look at yourself in the mirror for an hour straight at least feel good about the way you look! I also started putting on a little makeup (not a lot) and wore my hair in two cute ponytails. I don't care if it sounds vain, if it gets me in there and enjoying it, it can't be bad! So now I find myself looking at Lulu Lemon and Zumba.com and wondering how anybody ever affords to workout;-P Don't get me wrong, the Old Navy stuff is pretty cute but I don't even want to spend $15 on a new tank. 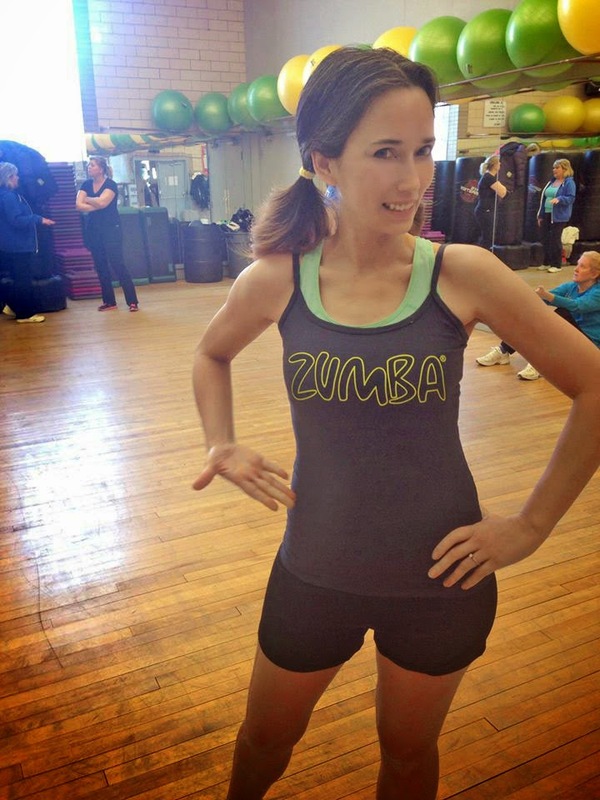 Our instructors always wear pretty cute Zumba gear. It's all layered, brightly colored and purposefully sloppy. But I think I can get that look without paying a fortune for it. So for the next 30 days I'll be making a new DIY piece of workout wear every day. Are you excited?! I got my tees and I'm ready! Let's do this thing! Or as Priyanka would say "Mumbai, Cuba baby let's go! La-love me all the way to Rio!" What a great idea! I'm looking fwd to seeing and maybe trying your projects. Great workout clothes are hard to find and I've been thinking of making a couple tops. oh, this is inspiring! I've been feeling pudgy but I typically HATE workouts (I do like Pilates, though, and I own a few DVDs). I've found walking with a friend to be the best and I'm pretty sure you're right - it's "the friend" part. Can't wait to see what you do with the clothes! The prices they charge for workout clothes are ridiculous. Woohoo! Can't wait to see all your cute new duds in class! Your story sounds just like mine! I'd gained quite a bit if weight over the last year & just felt terrible. I've never been a workout, aerobic person, but would walk sometimes. 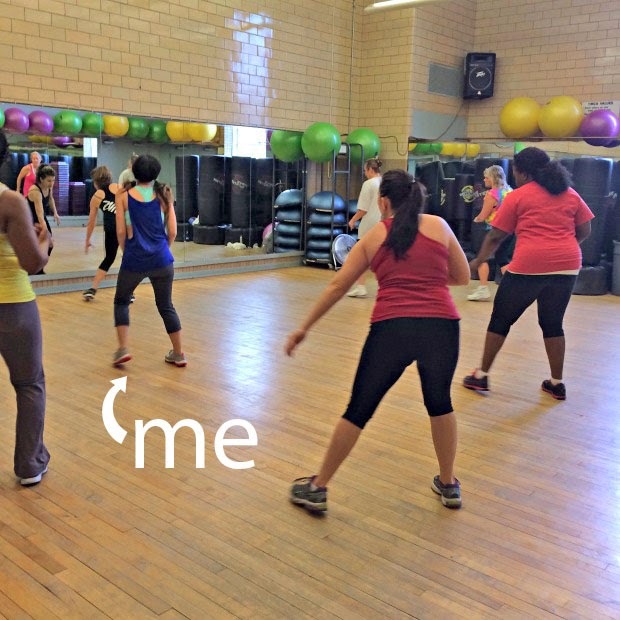 I knew I needed to do more for my health, so tried Zumba at my rec center. The first few weeks were doubtful, but it got me moving and I liked the music & dancing(even though I'm a bit rhythmically challenged :)) Then it just clicked! I know most of the steps now & have an awesome teacher. I feel so much better, lost weight, & feel healthier. Can't wait to see the DIY workout clothes! Ooooh, I look forward to seeing your makes! I used to make workout wear and sell a bit of it, waaaayyy back when there was no selection, no Lulu etc. 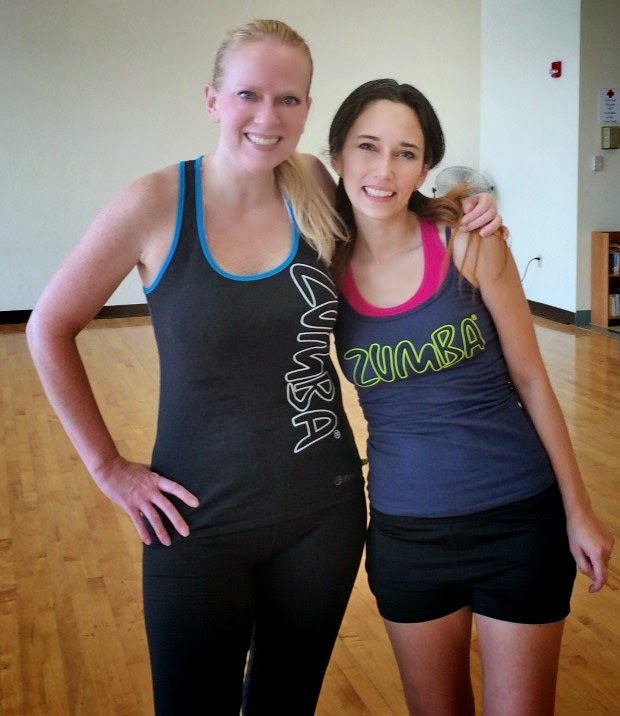 I've done Zumba only once, and can appreciate that there is a learning curve. Once you get their flow figured it, it probably is really fun! Well, in your case it is!!! That's great, and you look awesome!!! I am really inspired by the clothing you have made, and love zumba myself. I was really hoping that you might be posting more of this in the near future? I would love to have more ideas to work out in, but figuring it out myself tends to be a little above my head. Thank you for your brilliant talents and efforts. Pleased to know about your DIY workout wear. I too want to try these DIY workout wear and hope to get them soon. Right now, having workout leggings from Alo Yoga and very happy with it as very comfortable in these.